After all this waiting, we’re pleased to announce that we have finally created a great solution for those who want a UI kit that will work well for them. Introducing PixelKit. It’s an essential library packed with the highest quality UI kits and plenty of other resources web designers crave. Access over 5,000 premium graphics and completely new releases throughout the year. Get new graphics each and every month. There are literally thousands of different graphics available. Each kit offers an extensive collection with tons of different elements and icons in it. This bypasses the problem with other such packs out there. Most only contain a handful of elements at most, making them useless when actual projects need to be worked. Every graphic included is completely scalable for ease of use – think “vectors”. The library of graphics is mobile-friendly. That’s essential in today’s marketplace. You can easily use the elements in most HTML, as they are completely 960 grid compatible. PixelKit gives you the power to finish projects faster than ever before and with a more consistent and cleaner look. It also makes getting to work easier, because you won’t have to search all around the Internet for the right UI kit for the job. Check out the product itself and get a feel for what it can do. A top notch music UI kit built to match a musician or artist website perfectly. Perfect for a blog or music news website, you are going to love the fresh and modern look of this UI kit. There’s no doubt about it that this UI kit will make your website stand out with a fresh and playful design. Well over 100 vector elements give you more than you'll ever need to make one cohesive design. Make visual representations of data and information with this stat infographic kit so that complex data becomes clear to your audience. This hotel UI kit will help you create trendy designs and web layouts that are aimed at the websites for commercial establishments like hotels, motels, B&B’s, motels and other accommodations. The modern appearance combined with the wide array of elements designed specifically for this commercial niche will give you everything you need at just a click away. It's certain that with its metro and modern look, this transparent UI kit is gonna make your website stand out. With over 100 vector elements you have all you'll ever need to create a cohesive design. Take a look at this amazing treat– the Free PixelKit Bootstrap UI Kits. Download these HTML templates with their cool, modern look and you can use them to create designs that are even cooler and more functional. 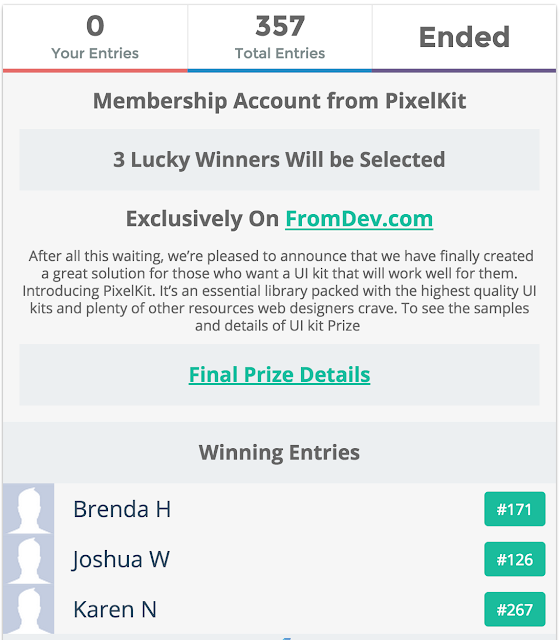 This Giveaway is sponsored by PixelKit, the best website for Premium UI kits & design resources.